Horticulture class at Learning Prep School is designed to facilitate the development of basic work behaviors, attitudes, and skills. Students participate in a wide variety of hands-on tasks and project oriented activities and jobs that often provide a direct service to the school. Through participation in Horticulture, students learn basic job skills that can be generalized to any task in which they participate. Horticulture tools types and uses. Specific plant names, types, and preservation through pruning, weeding, watering, fertilizing, and climate control. Providing customer service by knowing plant names, types, tallying charges and making change. General property management by organizing supplies, raking, sweeping, weeding, designing and planting perennial and annual gardens. Propagating and transplanting plant material using cuttings, seeds, plugs and by dividing plants. Organizing the shed with separate uses: tools, pots and miscellaneous supplies. 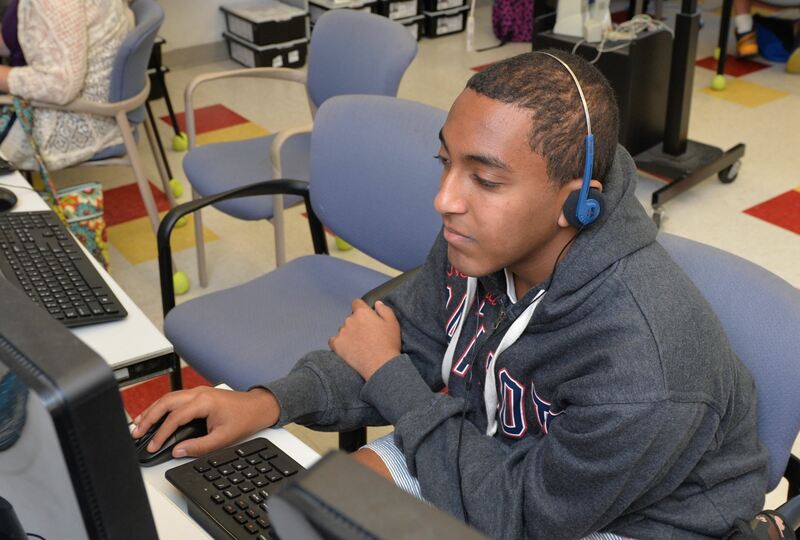 This computer-based elective focuses on skill development, creativity, and working independently and as a team. Areas of focus include typing skills, Google Apps, and Microsoft Office® (Publisher®, Excel®, PowerPoint®, and Word®). Another main focus of the class is digital citizenship and internet safety. Graphic Arts is also a featured unit of instruction; areas of focus include: Photoshop®, photo editing, creating advertising campaigns, designing websites, and making movies. Learning Prep School provides students in the high school the opportunity to participate in creating the yearbook. Students are actively involved in taking and manipulating creative digital photos, journaling the year’s events using lively grammar, peer-editing page layouts and copy, and publishing a professional-looking high school yearbook. We have the ability to not only tell our stories/realities through art, but to change them. Theatre gives us a way of expressing ourselves in a unique way. In Performing Arts this year we will explore acting, improv, process dramas, Theatre of the Oppressed (which will give you the opportunity to tell your own stories, re-enact them, and change the outcome), theatre production, and devising our own play across all the high school classes, which will be performed the following year. Students will learn the importance of empathy in acting and in everyday life (what it means to truly put yourself in someone else’s shoes/experience). 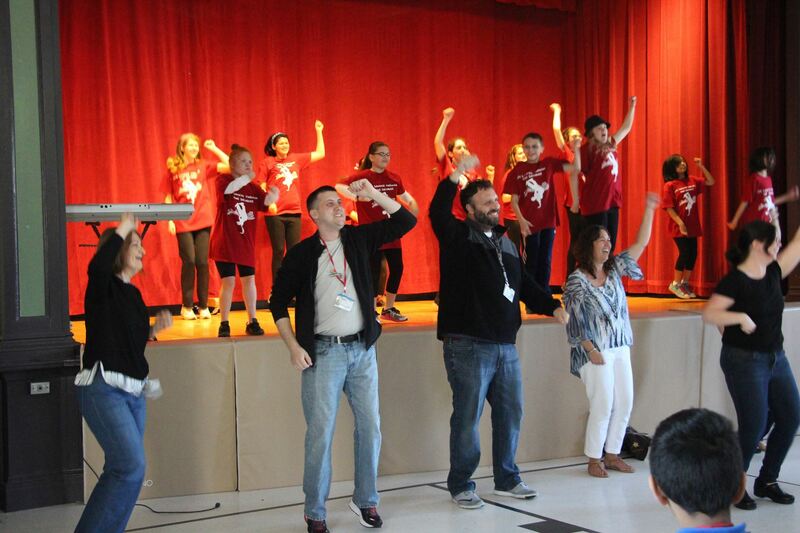 Students will advance their creativity, social thinking, theatre knowledge, acting ability, collaboration skills, and communication. Movie Making will focus on creating short movies using the iMovie software. We will start off with learning the basics of how to use the software, photography, and videography, so students will be prepared to create the projects assigned to them throughout the year. Students will learn movie making basics, interviewing basics, how to schedule interviews (email basics), and how to use technology/videography to tell a story. They will also advance their creativity, communication, collaboration skills, and independence. There will be a mini video assignment, a documentary/narrative class project, and a choice project total throughout the year. The majority of the work will take place in class and possibly some interviews scheduled during free periods. Students will have the benefit of being able to add the short movies they create to their creative portfolio. The Art Program at Learning Prep School is a modified Choice-Based Program. Essential art concepts are taught through a variety of lessons, which are aligned with visual art standards. In addition to required projects, students are given the flexibility to make informed choices about the artwork they produce. This approach, which regards students as artists, supports multiple modes of learning, addresses the diverse needs and interests of our students, and promotes student independence. Students learn to initiate projects that interest them, develop observational and problem-solving skills, practice techniques to develop craftsmanship, express themselves in a visual way, and reflect on their learning. The art room functions as a creative art studio with classroom centers for drawing, painting, sculpture, collage, and fiber arts. The art classroom also allows a safe environment for the development of social skills. Students practice communication, collaboration, and leadership skills in the classroom as they work on art projects. Students in the LPS Food Services classes participate directly in the school's lunch program. This includes food preparation, serving and clean up on a daily basis. 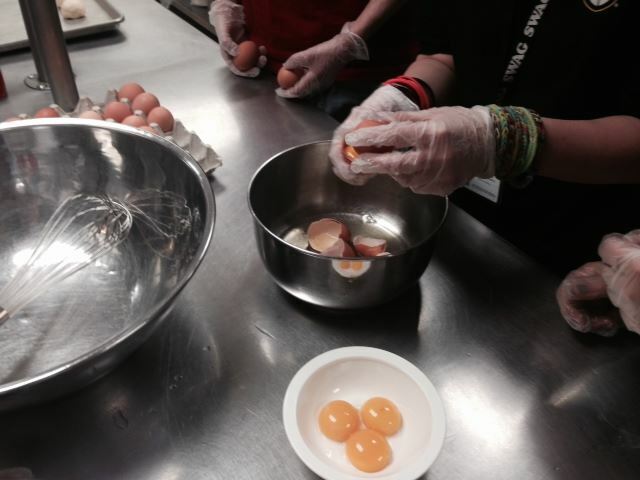 Many students are engaging in activities for the first time, such as cracking eggs for a particular recipe or helping make lasagna or sandwiches. This elective not only offers them a glimpse of working in a commercial kitchen, but teaches them practical skills that will last a lifetime. This program teaches students the art of uniting nutritional sciences with cooking solutions for practical menu planning that promotes optimal health and well-being. This course offers students life skills in planning, preparing and cooking foods and meals that support healthy minds and bodies through nutrition and healthy eating. The LPS Child Care program is a course designed to provide students an opportunity to work in a licensed program that provides a service for both the staff and students. The Child Care teachers provide a warm and nurturing environment for the children of LPS employees while developing hands-on work experience for the students who choose Child Care as an elective. Students work alongside the Child Care teachers to assist with the daily routines and tasks necessary to run a successful program. Students do not necessarily have to want a career in Child Care to participate, however, if interested, they will be provided with information and support to pursue further. The teachers objective is to instruct using school-wide learning strategies and daily learning opportunities to reinforce work skills and behaviors necessary to run a successful program. Understanding the importance of punctuality, positive social skills, teamwork, self-advocacy, professionalism, timely task completion, sequencing tasks, hygiene, health & safety, are just some of the skills addressed in this program. The natural interactions that occur between students and the children are the most amazing testament to our success! We also work closely with our Occupational Therapy Department, Work/Study program, and Culinary Services to reinforce the work and life skills that are useful at home, the community and the general work force. Our program is very unique in its ability to join families of staff and students into a very comfortable working and learning environment that benefits everyone long after graduation!